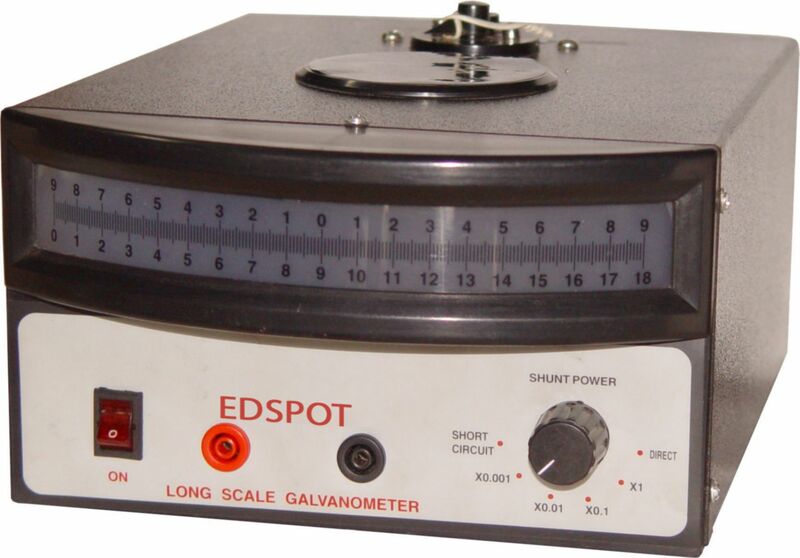 This sensitive galvanometer has a multiple-deflection system. 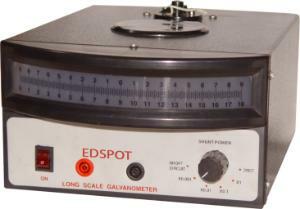 The long scale is fitted with a Zero Setting system to set the spot of the galvanometer. It also features a scale-locking function marked as lock and has a socket resistance of 500 ohm.